Make yourself something refreshing and original with these recipes from Esteban Arboleda! Check out the recipes for small dishes, classic dishes, side dishes and desserts. This is a lovely cure for hangovers! 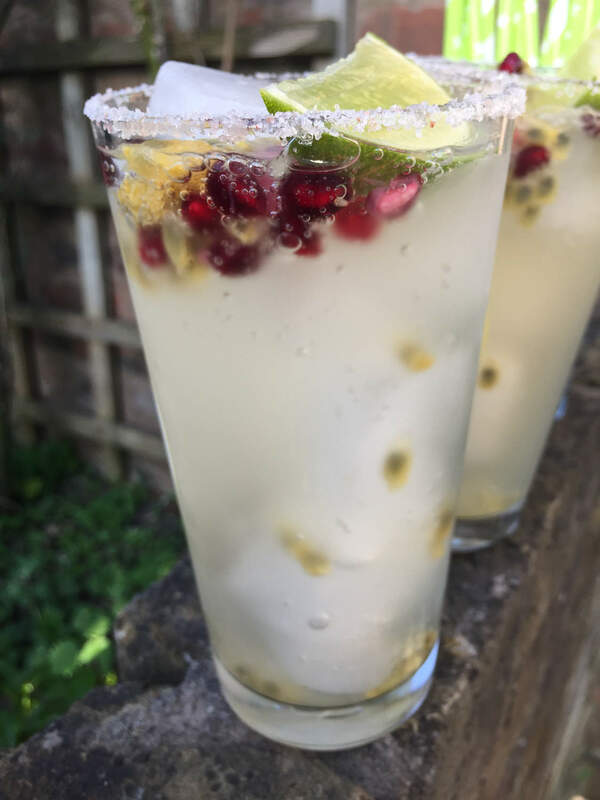 Soda water, one half of a passion fruit, a handful of pomegranate, one half of a lime and plenty of ice. Serve it in a glass with a salt rim (rub a slice of lime around the rim of the glass then dip the glass into salt). 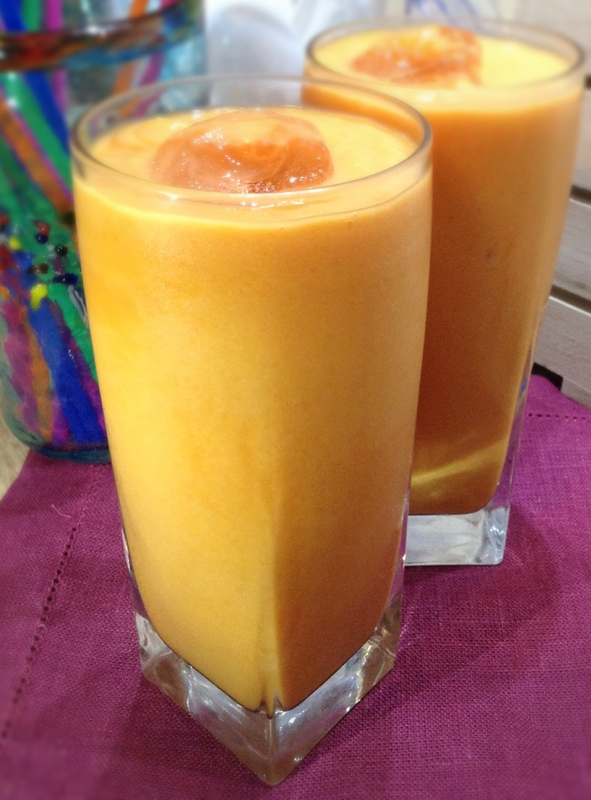 Use 150gm of papaya and pineapple cubes, add 100ml of milk (unsweetened almond works very well) and 60gm of coconut paste. All blended with some crushed ice and done! To make the coconut paste, boil a can or two of coconut milk in a pan, add some brown sugar to your taste and some cornflour to thicken it. Cool it down and keep it in the fridge for smoothie times (it stays fresh for a week). For those who enjoy the forbidden fruit flavours! 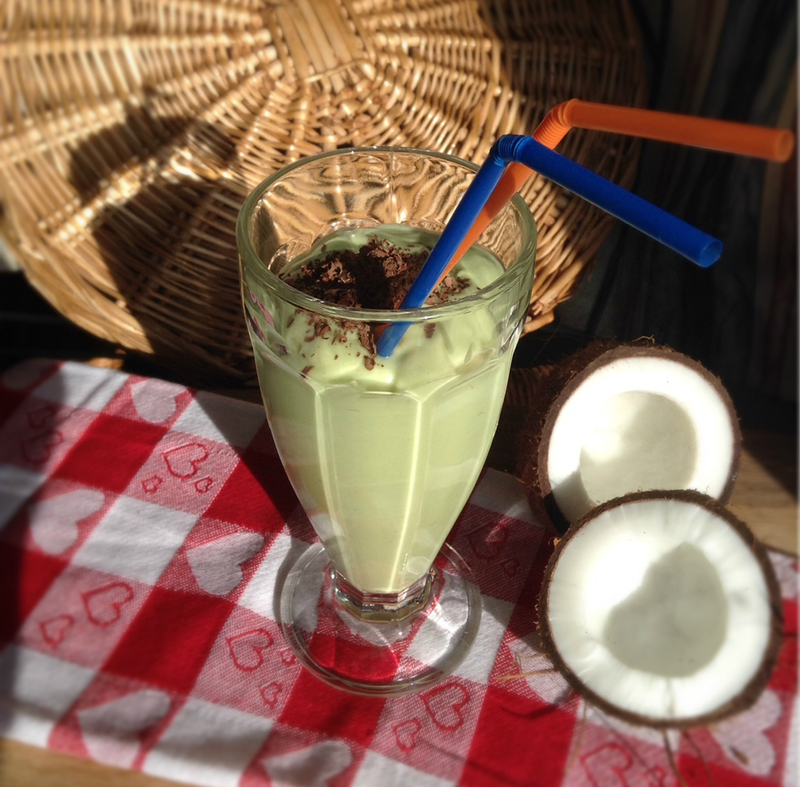 Blend one ripe avocado with coconut milk and vanilla ice cream. Add some honey and serve it with grated dark chocolate. Known as guandolo, this is an amazing alternative drink not only for its simplicity but for its refreshing qualities. 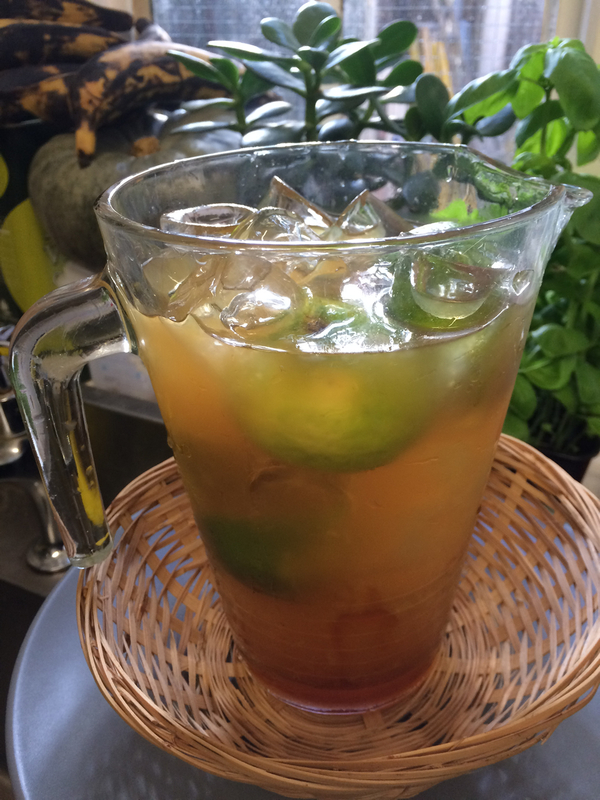 The ingredients to make one big jar: 3 limes cut in half, dark brown sugar to your taste, loads of ice and 1 litre of cold water. Press the limes and put them into a plastic bowl, add the sugar and leave it 2-3 minutes to macerate. Add some cold water and ice, and maybe a couple of fresh mint leaves. Not only refreshing but nutritiously tempting! 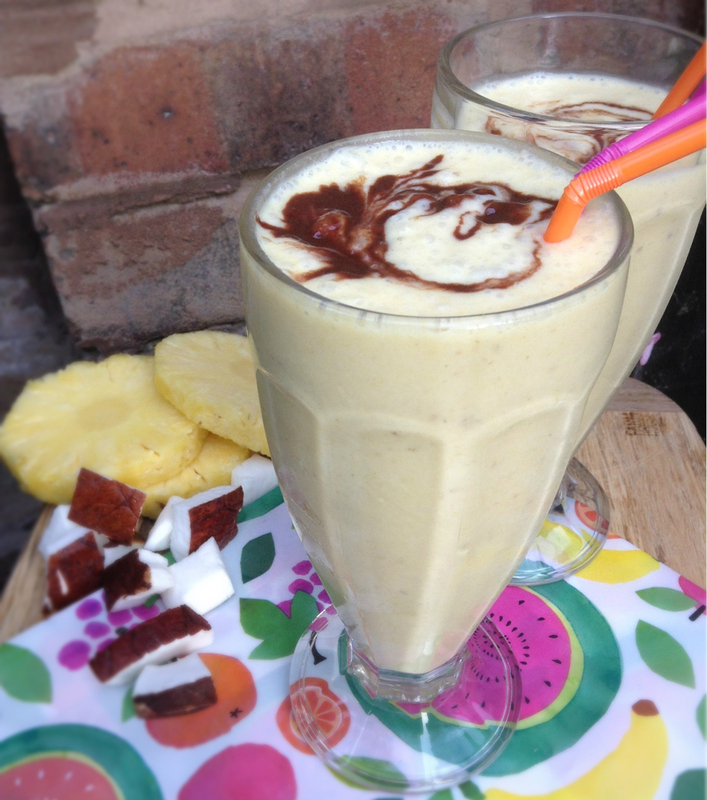 Combine the following in a blender: 150g pineapple chunks, 60g of cold oats, 60g tinned coconut milk, 40g brown sugar and 300ml of dairy-free milk. Add lots of ice and sprinkle some ground cinnamon. Instead of pineapple try it with papaya, banana, mango, raspberries or avocado if you want to be a little more adventurous. 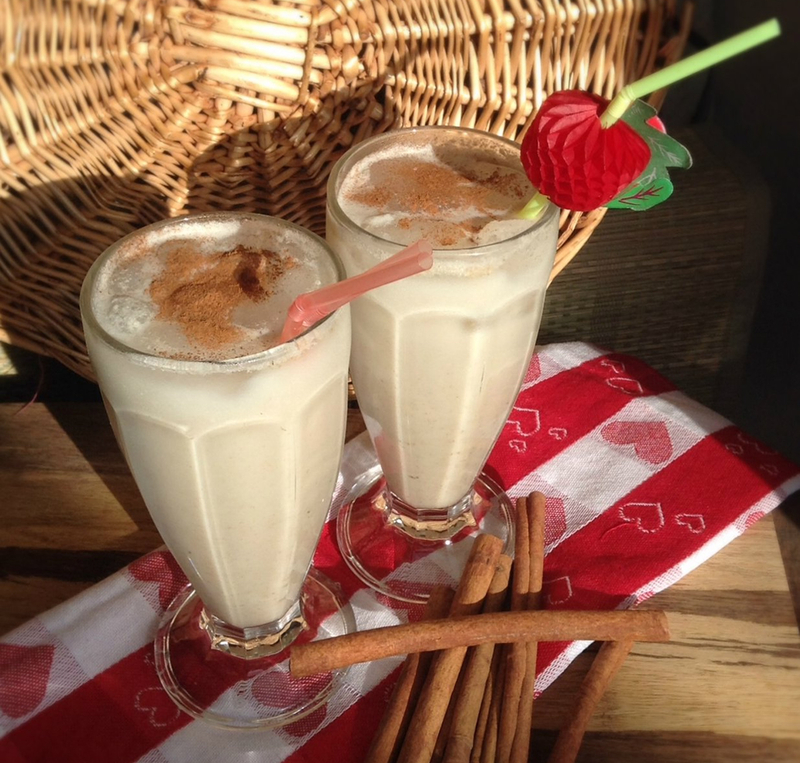 Looking for a mind-blowing digestive beverage? 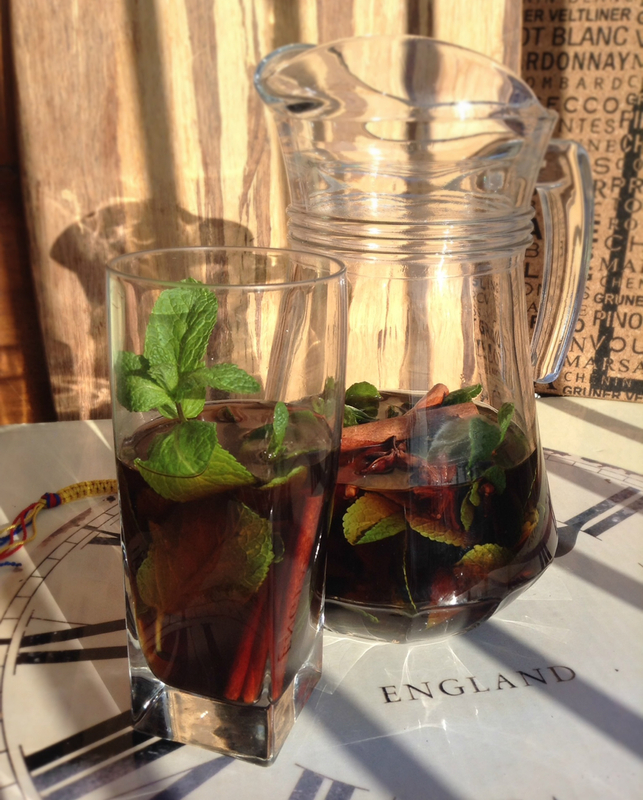 Prepare some strong coffee (I use my cafetière), cool it down and add cinnamon bark, cloves, star aniseed, macerated fresh mint and sugar cane. Add lots of ice and leave it for at least 15 minutes to settle and enjoy a strong refreshing coffee drink. No need to throw away your ripe bananas! Peel them and keep them bagged in the freezer to make this delicious drink. For 2 large glasses you need 200g of frozen bananas, 120g of fresh pineapple and 150cc of milk (I used coconut milk but it is surprisingly good with almond or rice milk), all put into your blender. To make the chocolate sauce, add pieces of dark chocolate into a bain-marie (a pan in another pan of boiling water) until melted, and add brown sugar to your taste before pouring into the glass. This is a simple drink inspired by my mom's original recipe. 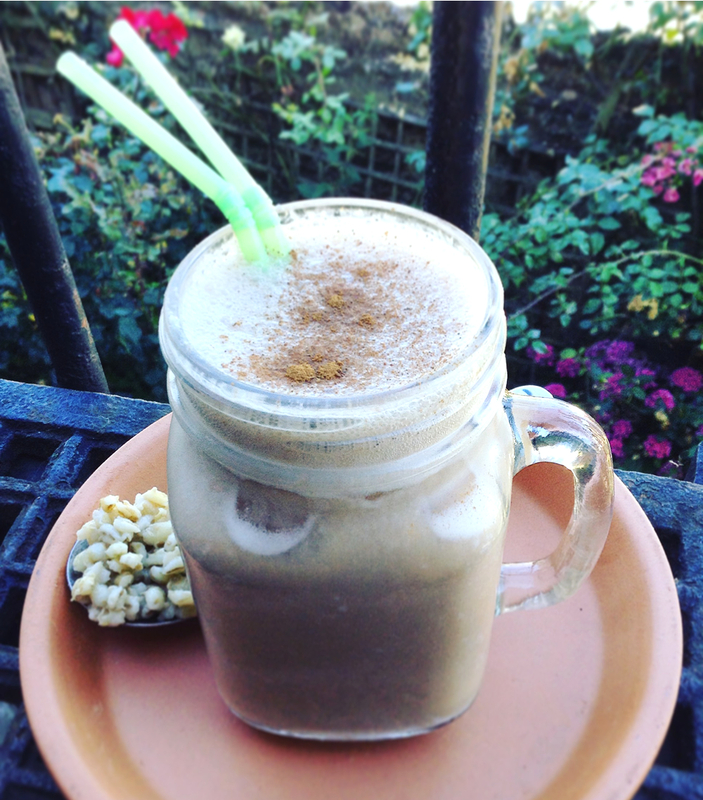 Pearl barley, banana, Colombian coffee, milk and plenty of cinnamon!